Jhono Kerketta (35) lives in Bagdhara Patra village which comes under Kundi Panchayat of Itki block in Ranchi. She has two sons and a daughter of age 16, 14 and 10 respectively. Her husband usually works in a brick kiln but for few months only, as he spends rest of the months at home. Farming is the primary source of income for Jhono and her family. Due to poor irrigation facilities the produce is usually less therefore to facilitate the daily needs and run the household chores they began keeping livestock also. 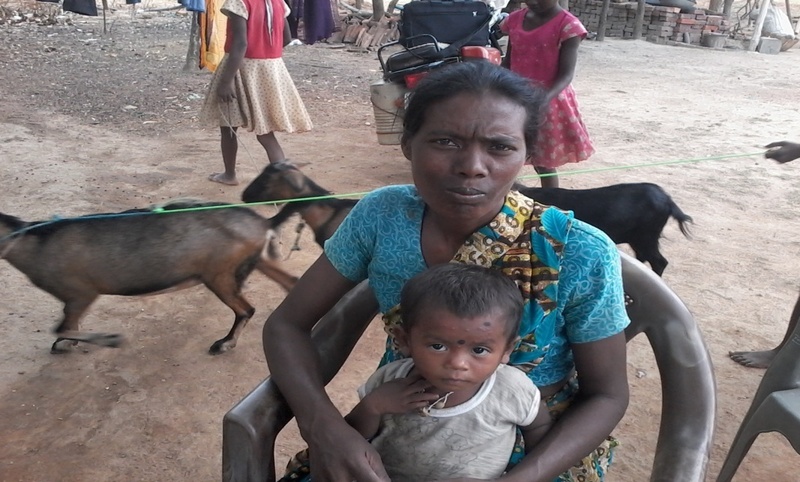 This turned out to be a good decision as Jhono is able to send her children to school. Due to poor medical treatment her goats often fell sick and this worried her. Since a goat roughly costs around 4000 to 5000 rupees, it is a big amount for a poor villager. Jhono could not afford such heavy sum and after the death of two of the goats her fears increased. To keep her livestock intact she consulted various doctors for the treatment but the fees were too much for her and she felt helpless about it. During a camp organised by Soochna Seva team in Badhara Patra she discussed her problem with the team members. Like her many other villagers too faced similar such issues, therefore the team consulted government veterinary doctors. They explained that villagers lack proper knowledge about cattle rearing and improper medicinal treatment and negligence leads to the death of the cattle. They also added that some doctors who practice at private clinics take advantage of the villager’s ignorance and charge a lot of money which eventually leads to negligence. So Soochna Seva team collaborated with veterinary doctors and conducted a vaccination camp in the village that too free of cost. Jhono Kerketta and many other villagers brought their cattle in the camp and returned with a vow to vaccinate their cattle within six months of time. The villagers cheered the team for their efforts and Jhono Kerketta promised to stay in touch with the team.